Are you currently making sure that you are up selling to your customers or are you too afraid to ask? What kind of product can you create on the front end that makes your product or service be the upsell? We have a very exciting topic on the show today and joining me is Dr. Carrie Rose. She is a Partner with Brand Legend Inc., that handles digital branding for clients where she specifically focuses on online course creation and info product creation. Once you’ve made the sale, you’re 6-7 times more likely to make another sale from that same customer if they are happy and satisfied. Are you good enough to make the sale? Are you enough to offer value in a more interesting way? Fear can play a role in this. But do you know your customer? Do you know what your customer wants? Checking in with people is the best way to start. Reach out and find out what kind of product they’re wanting and develop that for them. People tend to attach more value to something they paid for. When they get something for free, they don’t necessarily value it and the same if you give it to them too low. Putting a price on it a little higher makes them respect it more and listen more. Sometimes, too, having a cheaper item takes 2-10x work to sell it to one person versus having a higher price and you won’t have to sell it as much. With a higher end product, you earn more while using less time and less resources. Have the desire to just jump in and do it. Sheer determination is key. Creating a course is a financial investment. But it’s a matter of pulling the trigger and giving it a go. Take the risk. Get uncomfortable in order to take chances. People are afraid to launch because they want everything to be perfect. And it’s never perfect until you launch. It’s never perfect until you get that feedback that tells you how to change it from the people experiencing it on the other side. Just go, see, and find out. Whether you’re automating a process or not, understand that before the money was in your bank account, it was in somebody else’s bank account. Do personal phone calls when you follow up with them. The magic that happens from going. The magic that happens from momentum. You can have a vision board all day long, but unless you do something about it nothing will happen. Be brave about it. If you find out you’re asking for a price that is not selling, then change the product or service or price. You basically get data from it and it’s where you can make your decisions on. 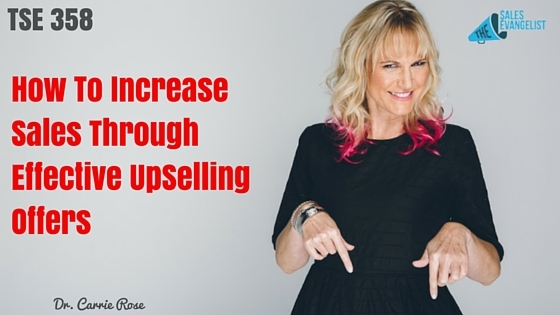 When is the right time to upsell? Always. Just always ask for it. Be natural. How can you be natural? Build that personal relationship first. When you’re invested in your clients, it’s a lot easier to ask. You’re asking from a place of heart and not from a place of trying to make money. Ask. Develop a method for feedback you can tie to your business that works for you. Find a system that makes it personal. Develop a series of questions inside of your business to clarify how you’re supporting them. Find out what else they want. Make sure you’re focused on them and doing your research. Get connected with Carrie on www.drcarrierose.com or www.brandlegend.us. Also find her on Facebook. 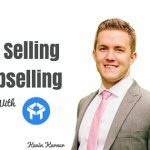 TSE 686: This Is Why Online Marketing Is NOT Working For You!